How many of us dream of a place to exercise our green thumbs? 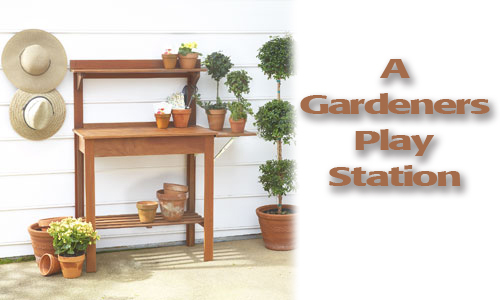 Here are a few simple ideas on setting up different types of potting benches! For someone who can only dabble, you want to have a compact set up. Something that is fairly portable but yet a dedicated place to place your garden pottery while you create new planter ideas. A place to store some simple hand tools and maybe a bucked of potting soil. Make it a casual place that is basic, possibly movable and has just enough space to work in comfortably. 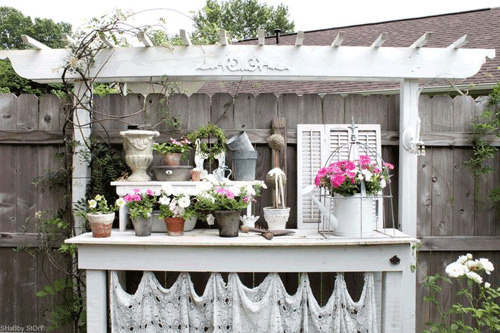 Create it out of old crates, barn wood, or a counter top and maybe concrete blocks. Paint it or leave it natural and rustic. This is for fun not for impressing people so don't sweat the small stuff. A few tips to consider for the casual set up is make sure the area is 25 inched deep and 40 inches wide. This is the minimum work area that is most useful. 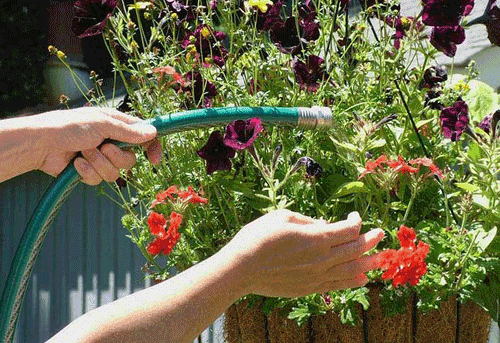 Place a bucket for potting mix and another for water if a hose is not handy. Store a watering can if you need one. Attach some cup hooks to the sides of the table top to hang small garden tools, a pair of gloves, or a tiny whisk broom for clean-up. 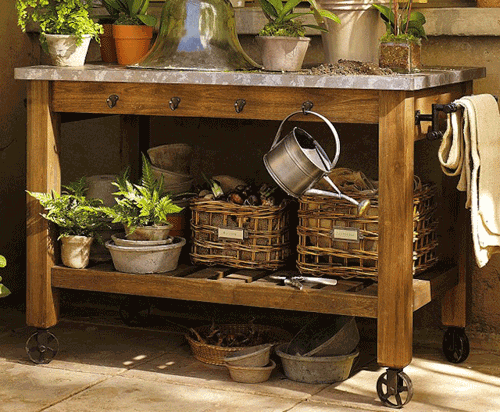 Keep a basket handy to move things around with and stack your garden pots to keep them neat and out of the way. For the devotee, there are supply houses that make kits for professional looking bench's. Or you can have a carpenter build one under a patio top that can sit out all season long. Go for cabinets with deep shelves for storage, small drawers for garden tools and large stainless tops for potting. 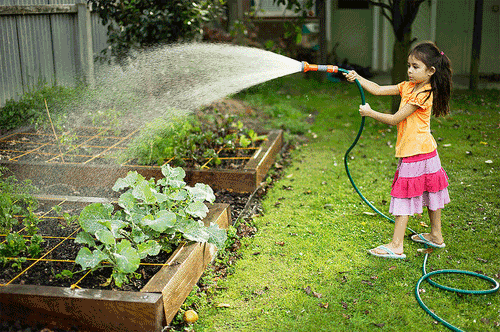 Include a permanent water source like a sink with a faucet that has a hose attached for watering small potted plants. Overhead shelves and racks are a most for added storage if it is in your budget. Dream big and go big. You won't regret it. When storing garden pottery make sure that the unused pottery isn't exposed to the elements. Slip newspaper between the pots when you stack them to prevent sticking and clean them with a wire brush before storing. All simple tips that make a big difference when next Spring rolls around. This photo to the left, shows a built in area in a garage. It looks stunning yet not all that complicated. Placed right next to the door that goes from the garage to the backyard is great for convenience and it fits perfectly. A couple of build in cabinets with a counter top and overhead open shelves is all it takes but the addition of the garden sink is fantastic and so useful. We really love the muted green paint color and white sink and counter tops. Simple, elegant and useful. Read more.....Organizing your potting items. 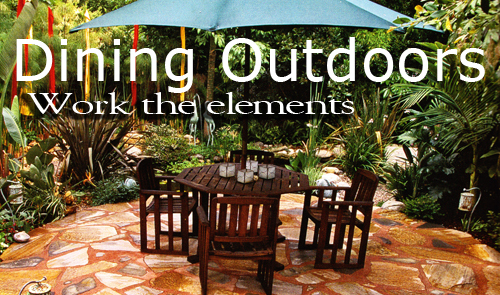 Read more....Outdoor dining - work the elements! 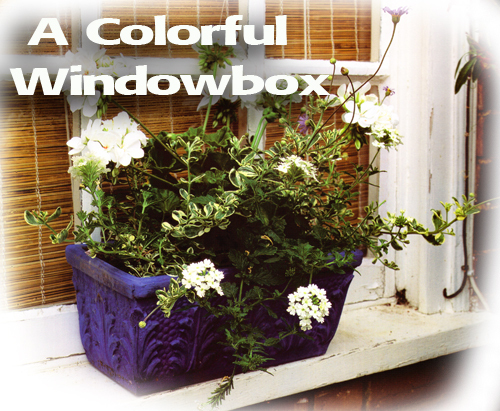 Window box garden planters are a great way to display color flowers and lush green plants. However, they all look the same. Here are a few suggestions for creating the planter shown above, using our Italian Roman Rectangle. This is a stunning terracotta clay Italian rectangle, that is covered in a Fluer-de-lis pattern. Very traditional and elegant. The clay that these pots are made out of is smooth, silky and lush. Italian clay is known in the industry as the most wonderful clay products being produced. Each one is baked to a golden terracotta color and is compact and hard. This surface makes painting the clay much easier than an porous clay. We recommend sealing the planter before you paint and after you paint, to prolong the life of the paint. Click here to view or purchase this planter. We love this blue acrylic paint next to the white pelargonium flowers. The contrast is stunning and bright. Make sure the planter is clean, then seal it with out pottery sealer. Let it dry. Put on a couple of coats of acrylic paint and let them dry. Reseal. Cover the drain holes in the bottom from our "pot filler" , pebbles, pot shards (shown) to keep the soil from running out. Next fill the planter with a good potting mix. Add a slow release plant food and get ready to plant the flowers. 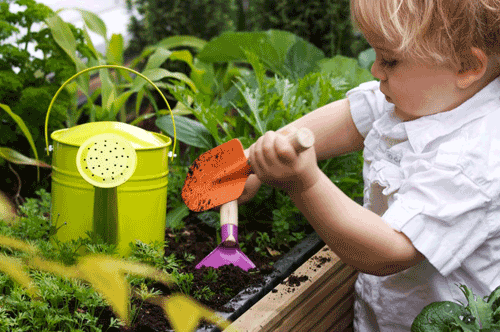 Make a small hole in the soil with your hand or a small garden trowel. 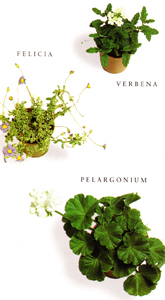 Place the pelargonium in the center of the planter. Next take the felicia and place on each side of the pelargonium, at the back of the container. Then take a verbena and place on each side in the front of the garden planter. Pack down the soil but don't hard pack it. Water well and place in a sunny position. Note: White pelargoniums need regular dead-heading to look their best. Old flowerheads discolour and quickly spoil the appearance of the plant. 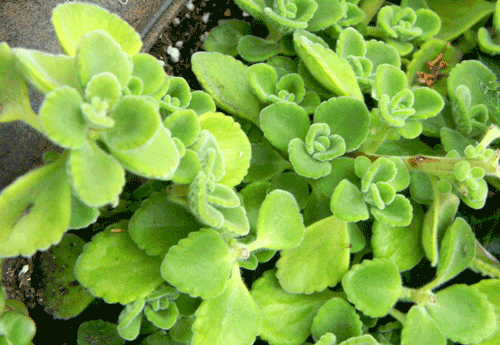 Plant in late spring or early summer. 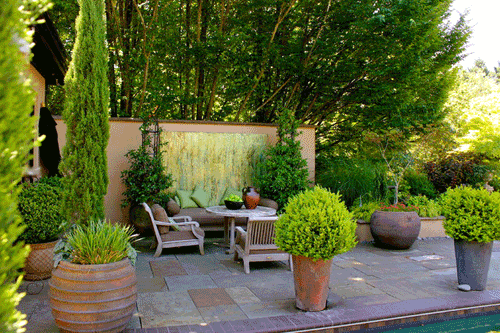 Planted containers are useful for reinforcing or complementing colors used in the garden. It's a simple way to add a unique bit of flair, which you can change from year to year. This combo emphasizes shades of maroon and gold by pairing them with a lush green background that makes the color pop. 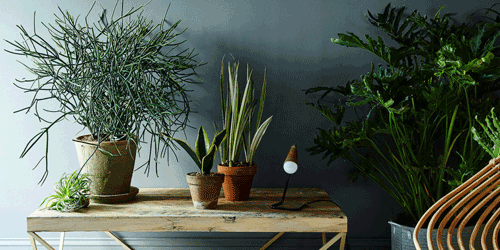 What we love about this potted display is the fact that it is so packed together. It looks out of control and wild but stunningly beautiful. Try mixing it up with different textures, compelling colors, outstanding pottery and different plant materials. 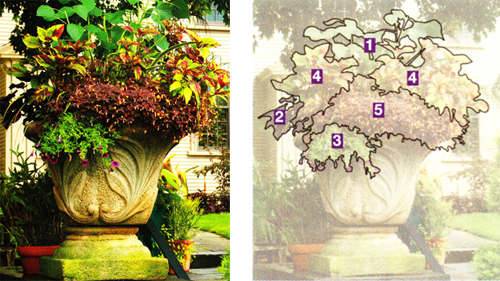 Don't over think your potted displays. Be creative and have fun. A mistake that is often made is just using flowers. 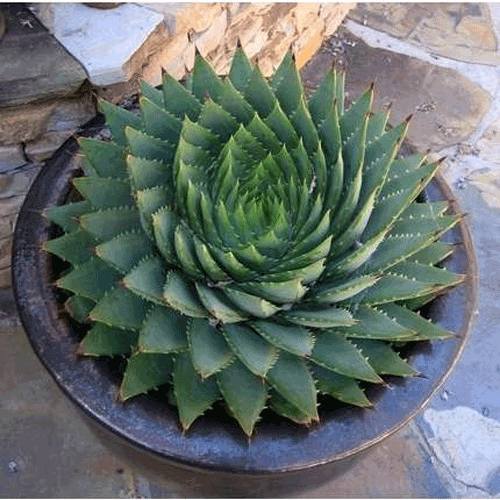 Don't forget there are unique plants and foliage that can enhance any arrangement or potted display. 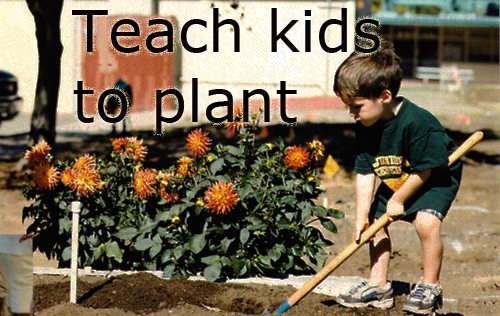 Move beyond the basics you see at your local nursery center. priti - thanks for the kind words. potatoes are known for being easy to grow but i have no experience with them. i am sure there is plenty of information on the internet. fruit is fun and easy to grow. Once houseplants become more of a consuming hobby than a passing pleasure, you will begin to look for more ways to feed your passion. 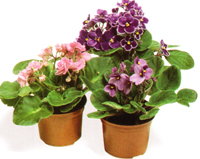 One option is to start a collection of a particular type of plant, whether a large and diverse groups such as cacti, or a smaller interesting group like African Violets (shown). 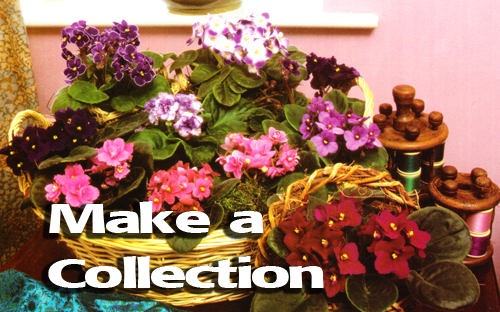 Start by grouping your plants to find an arrangement that pleases you. The design will look more interesting if you can create a cascade effect using florist's foam to build up different levels. Build up the back of the display with the foam first. Fill in the spaces in front in steps. 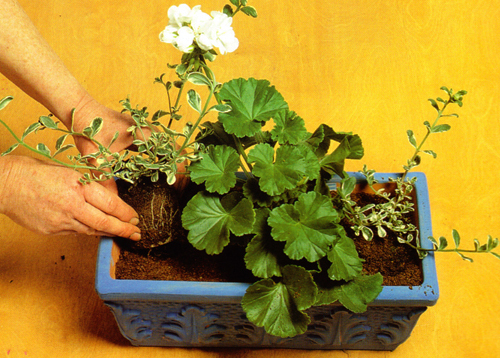 Try the plants for size so that you can use more foam beneath the pots if needed. Arrange the plants to look as though they could be growing as a natural group and not in straight rows. Fill the spaces between the pots with moss. When selecting a container you have many options. 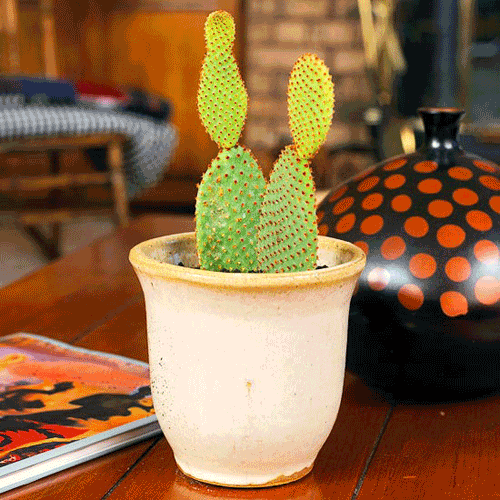 Match the color of the pot to the accent colors in the room. Do you have bright red pillows? Then select a bright red planter to compliment and draw your attention to the brightness. Do you have a rattan table? Then use a bamboo theme planter. Is everything natural with neutral colors? 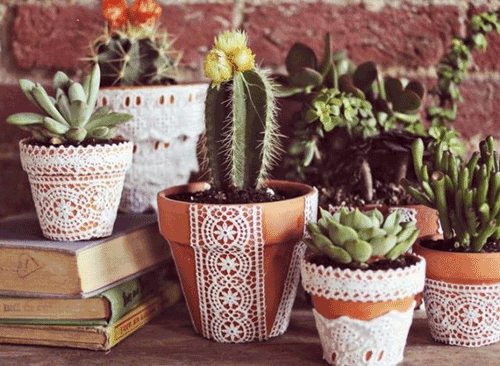 Stick with a clay terracotta planter. It's a natural product that is lovely with sun baked terracotta color tones. 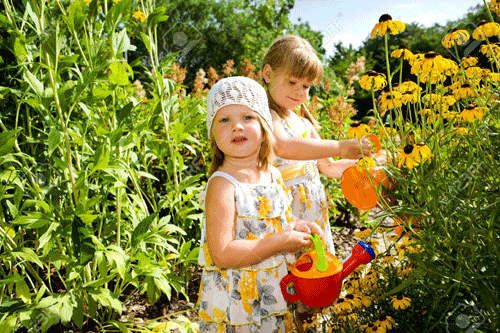 To find the best range of plants do not go to just one garden nursery. Hunt for specialists for imaginative and superior items not seen everywhere else. Plant early in spring when the selections are the best. Read more.....Grow your own desserts. Read more.....5 tips for success with table top containers. Outdoor Dining - work the elements! 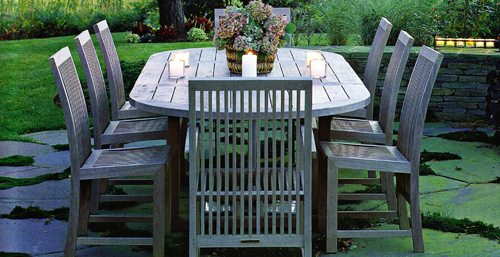 An outdoor dining area must look inviting from afar so that you're drawn to it as a destination". Outdoor dining can be a feast for all the senses. The taste of food, the tune of the wildlife, fragrance of flowers and warmth and charm of potted plants. Of course as with anything, you need to find the right spot. A place that is convenient to the kitchen or tucked away in a secluded corner for peace and privacy. The key is to make the most of what you have. 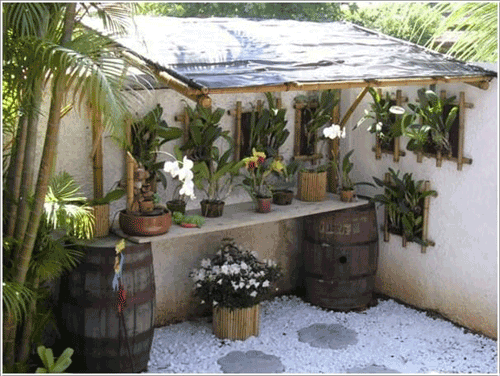 Start by working with what you have and then expand to adding potted plants, lighting, or a structure like gazebo. Do you need to protect your table from the elements or are you lucky enough to be able to sit out under the stars? Are you looking to feed a crowd or just a quaint setting for 2 on occasion? There are some guidelines on how to set a table up. A 26" bistro table will seat two, a 48" table will seat 4 to 6. Tables stay put but chairs get pushed around so make sure there is plenty of space to accommodate that. A rule of thumb is width of table plus 3 feet on each side. This is enough room to get in and out of chairs comfortably. Plan carefully! Strive for a sensory experience. 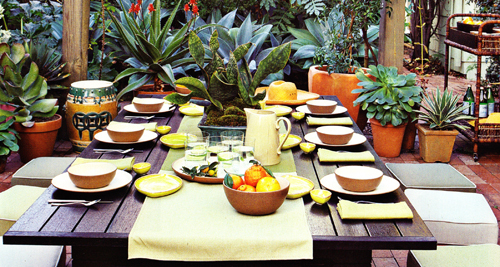 Have lots of potted plants that you can move around to accommodate the table set-up. 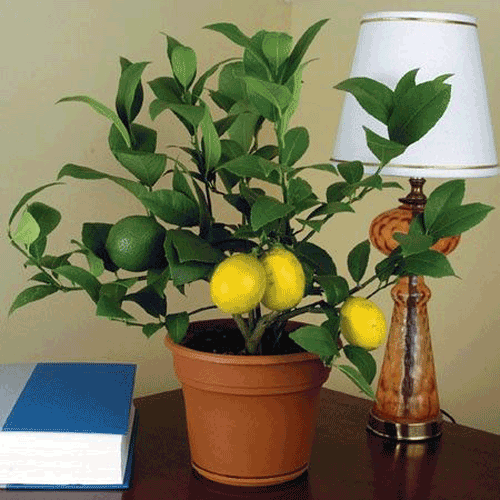 Plant them with fragrant fruit trees, and luscious smelling plants and flowers. Use palm's to block unsightly neighbors and to break up the noise of traffic. Planted pottery is portable and is very easy to move around and set up the look and feel that you want easily. Make sure your furnishings all match and are comfortable. Try to follow a color theme by matching the potted plants with the cushions on chairs or the tablecloth you cover the dining table with. Use candles, fire-pits, hanging lanterns and music to set the stage and enjoy your hard work and labor. It's your home and you should be comfortable. Here are a few ideas on "things" to get done around the garden. Indoor and outdoor tips and have you done it lately ideas! Right now in season are grapefruits, navel oranges, pineapples, tangerines, cauliflower, new potatoes, and rhubarb. 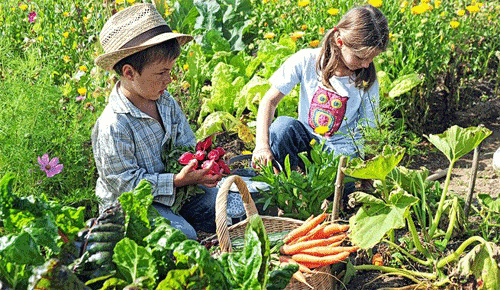 Did you know that you can plant many of these fruits and veggies in garden planters. 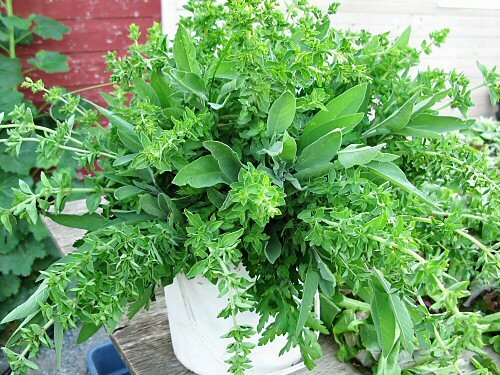 We offer tons of tips on planting these and more here in our blog sections. Check them out! Prune your roses. Early spring is the time to shape and trim most rosebushes. Remove the damaged or diseased branches. If you have ever blooming plants, prune even more to encourage healthy flowering all season. Climbers, which we love, and shrub roses that bloom just once, however, should be pruned only after flowers fade. 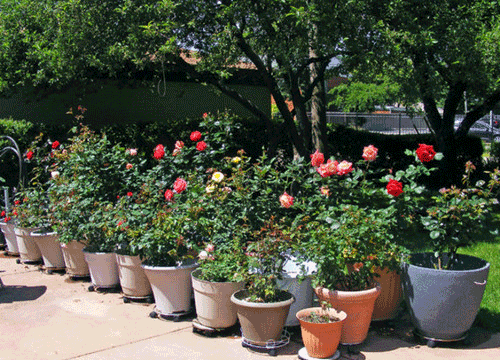 All roses are easy to pot and if you set the pot next to a garden wall or decorative pillar it's easy to get them to climb. 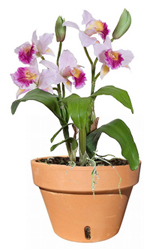 Continue to fertilize houseplants, prune and re-pot if necessary. 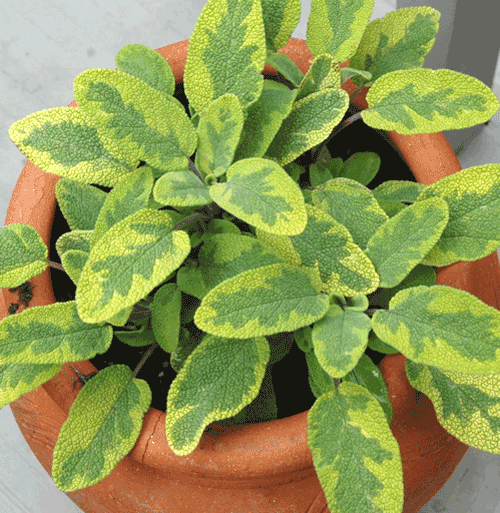 To be sure plants on windowsills get an even amount of light , rotate the pots a quarter turn each day. You can always place the heavier pots on a lazy suzan for easy turning. Open the windows and let the fresh air come into your home. Do the same in the attic and basement if you have those. 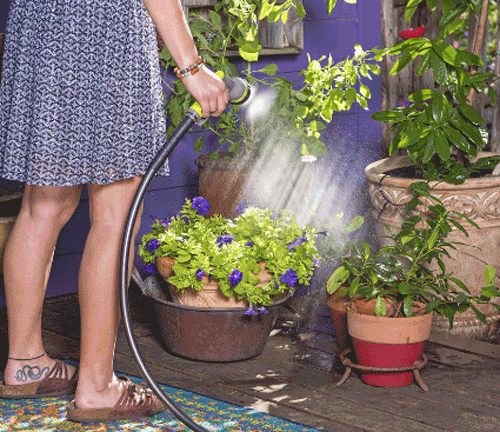 Your potted plants are not the only things that need fresh air throughout the year. Outside check all potted trees for broken or damaged limbs. Clean winter debris from top of potted plants so the top soil is exposed. Remove, leaves, and brush that may of blown onto them. Remove winter mulch you may of placed on top to protect them. Bring your summer blooms out of storage and the garden bulbs that you have. Pot them and start watering them now or keep them inside till after the last frost. Spring is coming - be prepared. Because their roots can reach deep into the surrounding soil, plants growing in the open ground may survive some amount of drought. But container plants have only the soil in their pots to draw from. They depend on you for the moisture they need. Obviously they will require more watering than plants in the ground so here are a few tips to help. Potted plant's need different things. Some need soil that is kept constantly moist, but not soggy and other shoudl feel barely damp. Many fare best is soil is allowed to dry out somewhat between one watering and the next. In these cases, don't water till the soil in the top half of the pot feels dry. Even other plants need less water and you can let the soil dry out almost to the bottom of the pot between watering though not so much that the soil begins to pull away from the pottery sides. Lighter soil mixes dry out faster than heavier ones and if you find the soil mix is difficult to wet, apply one of the wetting agents available at nurseries and garden centers. After awhile you will develop a watering plan that suits your container collection. The important thing is to stay flexible and check the plant containers periodically and water the plants according to their day to day needs not by a set schedule. 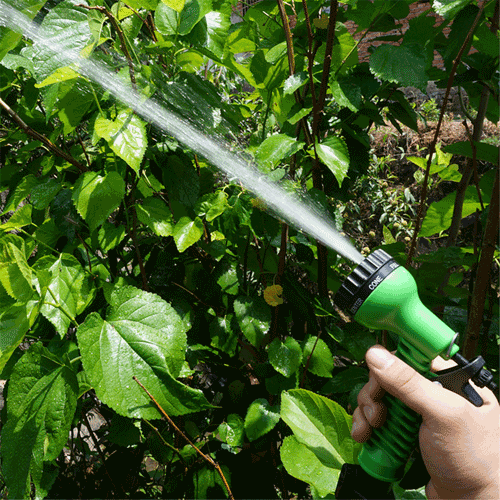 During hot or dry and windy weather growing plants may need watering several times a day. But in cool, still overcast conditions, you may get by with much less watering. Don't neglect pots placed under eaves or overhangs in rainy weather. If no rainfall reaches them they can suffer from drought even during a season of daily downpours.